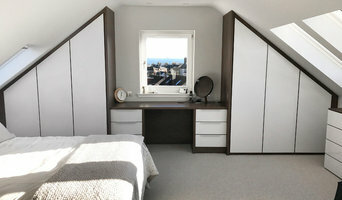 Premier Bedrooms are a Second Generation family owned and run bedroom furniture showroom in Kirkcaldy, Fife. With a huge number of displays, showcasing the finest quality German bedroom furniture from some of the most prestigious brands. Backed up by outstanding customer service and cutting edge design, be sure to make Premier Bedrooms the next stop for your bedroom. Catalog Ltd was launched in April 2012 by Dixie Mirowski and Ralf Farthing to bring the very best of European Design to Edinburgh. After losing several of Edinburgh’s most loved & longest standing Design Stores, the founders of Catalog have created a new haven for Contemporary Design in Scotland. Catalog’s collection features Design Classics alongside the very latest Contemporary pieces. Furniture & Lighting from Italy, Spain and Germany appears alongside Rugs from France and Denmark and Textiles from Scandinavia and the Isle of Bute. The collection is complemented by a few carefully selected accessory & giftware ranges. This extensive portfolio of product enables the Catalog team to specify product for a wide range of Interior Design Projects - both Residential and Commercial. Angus & Mack are a carpentry company based on the outskirts of Edinburgh specialising in staircases and bespoke furniture We also supply quality kiln dried Scottish hardwoods. Furniture Maker | David Alexander Furniture is a small independent workshop in Edinburgh, focussing on creating beautiful but functional furniture. Built with fine craftsmanship, all work is hand made, displaying the unique character of the chosen wood species. Together with a growing collection of made to order customisable pieces, Commissions of bespoke furniture are welcome. 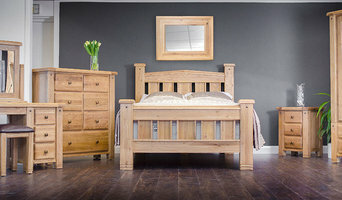 Charlotte James Furniture in Edinburgh have been manufacturing luxury furniture since 2003. With a trade-only client base, we work exclusively with interior designers, architects and specifiers both throughout the UK and internationally. Synonymous with quality craftsmanship, our wide-ranging projects span from boutique hotels and private residences, to 5* resorts and restaurants. All Charlotte James furniture is manufactured under one roof at our Edinburgh-based workshop. During manufacture, each piece of furniture is overseen by a nominated craftsman from our ever-expanding team of skilled upholsterers, sewers, polishers and cabinet makers. This ensures our ethos remains the same: to produce high quality, beautifully designed and wonderfully comfortable furniture. Whether a single chair or an entire interior, Tangram work with clients, designers and architects to specify & supply furniture, lighting, blinds and rugs. We have over 20 years of experience working with some of Europe's leading brands, and are the exclusive Scottish dealers for companies such as B&B Italia, Rimadesio, STUA and Walter Knoll. Mairi Helena is a luxury textiles, wallpaper and interior surface design label based in Edinburgh. Mairi's designs are created through taking elements of her photographic portfolio of Scotland, to produce abstract surface pattern prints with a luxury fine art feel. Influences are taken from the rustic Scottish landscapes, iconic wildlife and colourful flora. The Mairi Helena collection is a modern way to add a 'touch of Scotland' to the home. 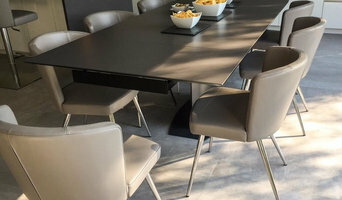 From the most remote civilizations to modern, fast-paced societies, sitting down to eat with others remains one of humankind’s simplest pleasures – yet the practicalities of dining as a large group are often neglected by the mainstream furniture market. DINE Living offers a timeless solution to entertaining on a grand scale. Brilliant in their simplicity, our tables and chairs fuse craftsmanship with ingenious design to offer a flexibility that simply cannot be found elsewhere. Nordic Living by biehl opened in Edinburgh in July 2018. Owners Sofie Biehl Kleberg and Mogens Kleberg arrived in the Scottish capital just a few weeks earlier, excited to embark on what had been a dream for many years. Having moved from Copenhagen earlier that summer, we wanted to bring true Nordic style to Edinburgh – beautiful Danish furniture from renowned designers alongside lifestyle and interiors accessories from newer brands, and some carefully-selected vintage Swedish ceramics and furniture. We hope we’ve created a welcoming, friendly and truly inspiring place to browse and shop. The products on our Houzz page are a taste of what we offer. Our vision is simple – to inspire fashion conscious influencers with the latest on trend furniture, lighting and home accents. With ever changing style trends, we pride ourselves in offering glam, modern and textured designs. Featuring sleek contemporary mirrored furniture ranges that effortlessly blend into their surroundings and cleverly play on light creating an airy and spacious feel, or make an impacting statement with our stunning collection of lighting and home accents that are design inspired by the latest fashion trends. Discover how we can transform your home with quality fashion led furnishings that'll compliment your decor and meet all your interior styling needs. Fabiia is a distributer of designer indoor and outdoor furniture; designer decorative lighting; indoor and outdoor LED lighting; and accessories. Fabiia specializes in supplying to hospitality, residential and commercial projects, worldwide. At its core, Fabiia has a design-centric background, offering interior design services, turnkey fit out solutions alongside custom furniture and lighting for large-scale projects. With a roster of over 2000 pieces, Fabiia’s well-curated designer selection offers chairs, tables, stools, sofas etc. in outdoor, indoor and office furniture collections. Established in 2006 in the UK, Fabiia began as a soft furnishings company selling signature furnishings to interior designers, to department stores and boutique shops across the UK in a short span of time. Fabiia’s products have been published in over 50 design magazines and 2 TV shows in the UK, namely the BBC2's Classical Star and 60 Minute Makeover. The various divisions in our company are: FABIIA SIGNATURE 'Fabiia Signature' design and produce a range of furniture, textiles and other interior related products under the Fabiia label. FABIIA CONTRACTS Fabiia Contracts is a specialist supplier of several established British & European interior furniture and lighting brands for the United Kingdom and Middle East region. We supply to office, retail, shipping, hospitality, education sectors as well as to residential projects. We also supply to the rest of the world. We are proud to be working with some of the finest designer brands in the industry and represent both established and emerging designer brands from UK, Italy, France, Denmark, Germany, Sweden, Turkey. FABIIA BESPOKE Our extensive product knowledge and network of specialist designers and manufacturers mean that we can offer you a specialist sourcing and customizing service for products not currently in our portfolio. If you are working on a project that requires a product hard to find, you can take advantage of Fabiia’s Bespoke services where you can discuss your specific requirements with our team for a bespoke, tailor-made solution. With years of experience in traditional build, the Eskgrove team wanted to look at another way of building homes. 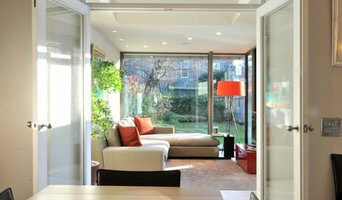 We wanted design homes that not only looked good but that were energy efficient. We spoke to people about what they wanted and listened to the feedback. People wanted their homes to be practical for the way they lived and energy efficient so we looked at developing a new type of new build home. To understand what is unique about an Eskgrove home, you have to go back to the start of the design and build process and how they different from other new build homes. Each home is built using a closed panel timber frame system, rather than basic timber frames. The closed panel timber systems are structurally and thermally engineered to Eskgrove’s exacting standards and requirements, delivering outstanding thermal performance. Each wall panel is factory manufactured, in Scotland, and delivered to site complete with external cladding, insulation, plasterboard and even the doors and windows fitted! All materials are very carefully sourced and combined with the precision of their assembly under factory conditions, the result is more accurately built homes than offered by traditional means. Eskgrove’s build process is highly engineered to give home owners a super insulated, energy efficient home of unrivalled build quality! No two Scaffa furniture items are ever the same, even if from the same range! This is because by using reclaimed wood (scaffolding planks) we bring another dimension to the manufacturing process. The marks and scars of the plank’s former life are embraced and enhanced by the Scaffa hand–manufacturing process to create a unique, robust, stylish furniture item each time. Our furniture is suitable for both indoor and outdoor use and our designs are all our own. What is more, because we make to order each and every time, customization to meet your specific needs, is always an option, so if you like the look of something and need it bigger, shorter, longer, narrower etc. we are happy to do this (as long as it is still structurally sound). Why not browse our range at <a rel="nofollow" target="_blank" href="https://scaffa.co.uk/">https://scaffa.co.uk/</a> Scaffa also now offers indoor furniture such as tables, chairs and bookcases, as well as traditional garden /outdoor ranges. The customer base ranges from individual buyers to large organisations and everything is handmade to order, so individual bespoke requirements can be included in the final product. .
Why should I use an Edinburgh, City of Edinburgh furniture designer or home accessories professional? Think about what pieces you need or what your vision for the overall look of the room is. Do you have very specific ideas for what furniture you’d like or do you just know the colour palette or the basic type of furnishings and accessories you want? If you have very specific ideas it could be an option to look at Edinburgh, City of Edinburgh bespoke furniture designers and makers. They will work with you to produce one-of-a-kind pieces to make your ideas come to life. Otherwise, it’s a fantastic idea to hire an Edinburgh, City of Edinburgh home furnisher to help you choose furniture and accessories to work with your interiors. Professionals with years of experience will have a great eye for picking out the right pieces based on your brief and your room design, saving you the time and stress of hunting down the pieces yourself. However, when not constrained by time, some homeowners can really enjoy the furniture hunting process. Tracking down unique or vintage home furnishings from furniture manufacturers, retailers, car boot sales, showrooms, auctions and home furnishing stores in Edinburgh, City of Edinburgh can be a real thrill, especially when you find exactly what you were looking for or perhaps something completely unexpected but brilliant nonetheless! If your budget can’t stretch to bespoke, designer or professional-picked pieces, this is also the best and most convenient option. Try browsing through the collections from a furniture manufacturer to see if they have any styles you like, or scour secondhand furniture shops and auction houses if you’re after something with a history. It’s not all about the furniture, though. Your home accessories can provide the finishing touches to any room in the house. Table lamps, plants, cushions, rugs, candles, ornaments, artwork and picture frames are just a few of the accessories you can use to round off the style of your room and add personal touches. It’s easy to find ideas for these smaller furnishings with plenty of Edinburgh, City of Edinburgh home furnishing stores and their products listed, as well as the furniture designers, manufacturers and makers. Find Edinburgh, City of Edinburgh furniture designers and accessories manufacturers, showrooms and suppliers on Houzz. Narrow your search in the Professionals section of the website to Edinburgh, City of Edinburgh furniture and accessories, then choose the nearest area for showrooms and retailers. Or you may want to look through Edinburgh photos to find furniture designs you like and contact the furniture manufacturers and showrooms directly.